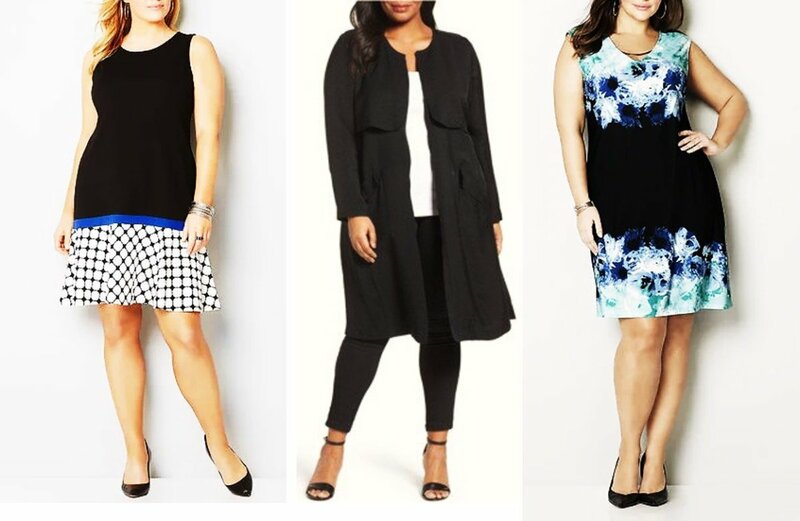 Once upon a time Tawnya fell in love with LuLaRoe clothing. After a 1 1/2 in the business, she realized what others knew and you should too. For months, I sat in queues, ordered as much product as possible, and hoped I'd find the coveted LuLaRoe unicorns. I hardly ever got a highly sought after print. I noticed my Mentors and other leaders did, so I kept ordering. I tried to order as much as possible. While I didn't get camo, tie-dye, or other nonsense prints, I did get a bunch of ovary-looking designs, chip prints, and awful magical pieces featuring a famous mouse. Guess what? I learned and there's proof out there, just google it, that I was never going to get those amazing prints. Why? Because they'd already been pre-selected by the top sellers. 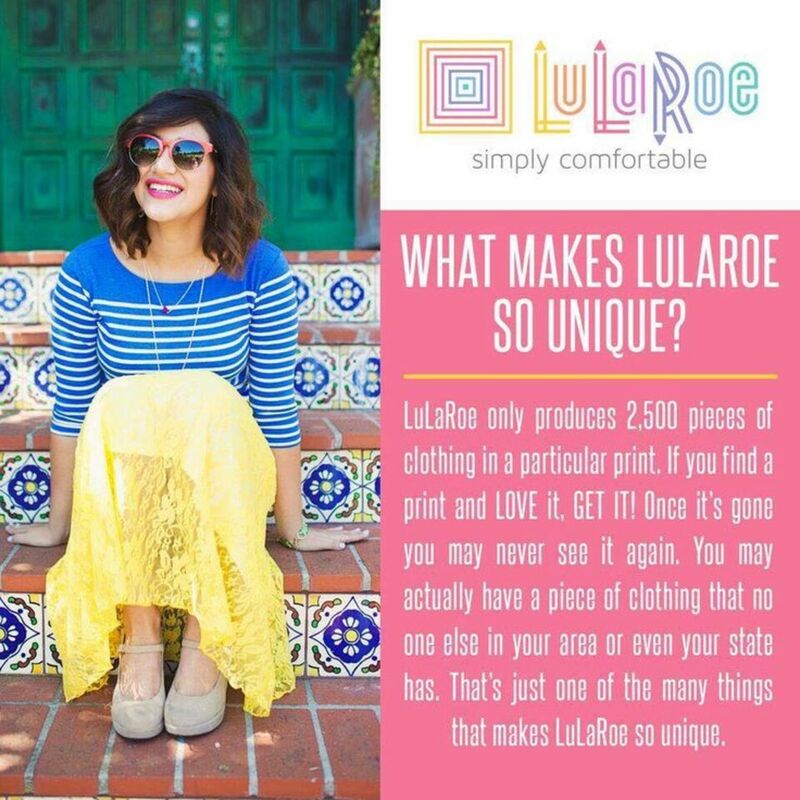 So, if you're looking for a unicorn, look for the LuLaRoe ladies that have thousands in their group. Look for the brainwashers that call themselves Mentors. That's where the unicorns will be. But, be warned, the quality of the clothing has gone downhill tremendously. You might be psyched when you get the print you've been scouring the Internet for, but be disappointed and find out you could have paid less and got the same quality by ordering directly from overseas yourself. Believe me when I tell you, this clothing is nothing like it once was, and a huge waste of money. Are you Ready to Find Your LuLaRoe Unicorn? Why is It so Hard to Find a LuLaRoe Unicorn? As of February 2017, there are about 65,000 consultants across the United States. The company has a unique business model that allows each independent retailer to choose what items they want to carry in their boutique. What makes certain prints so hard to find is the fact that no two consultants will have the same inventory. In fact, some items are almost impossible to find – despite the number of retailers to shop from online. Oh, that’s the other part, LuLaRoe isn’t sold in stores and only online. The elusiveness of some favorite items happens because the clothing company only makes a certain number of items for each print. Once the items are gone – they are gone for good. 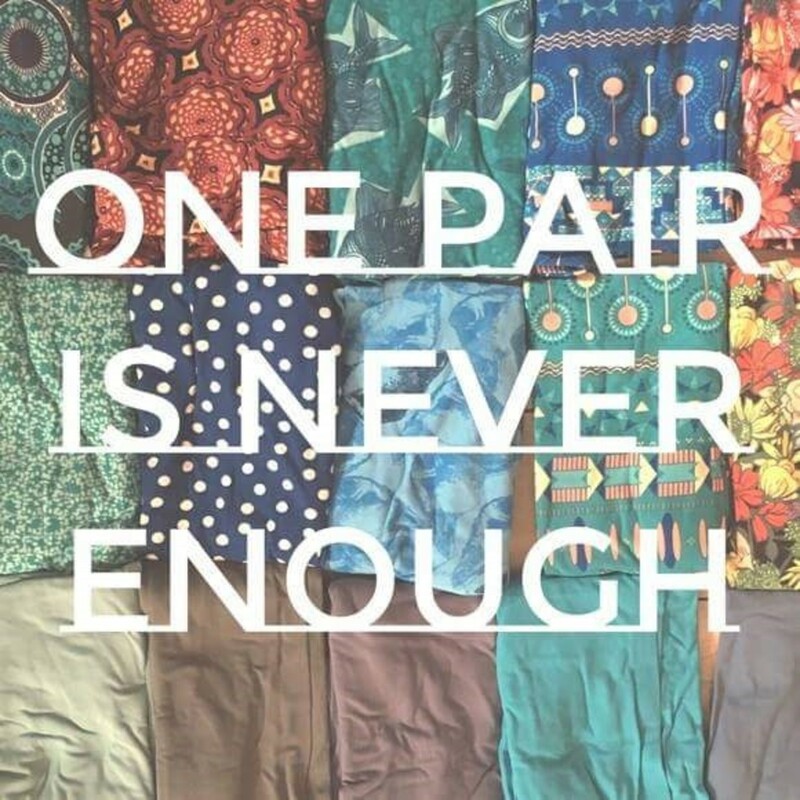 You may find a different colorway of an item but may never see the same print in a particular size twice. 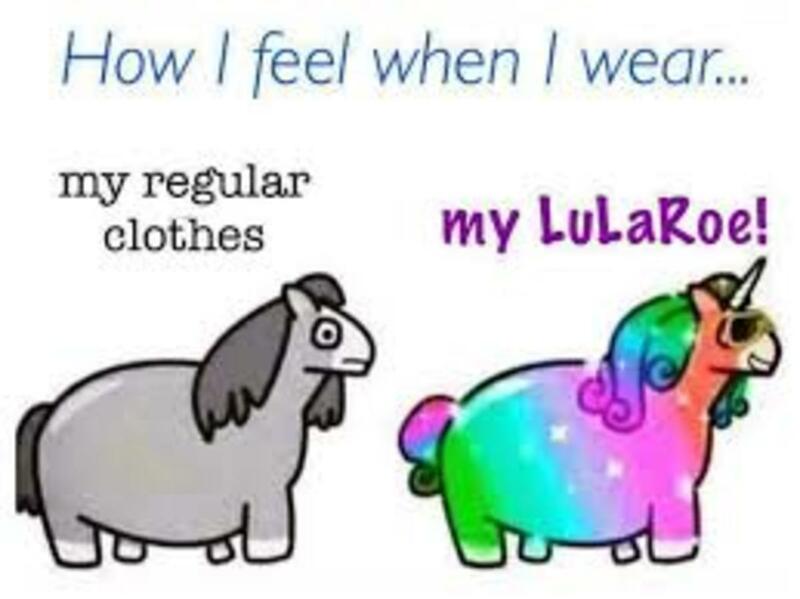 Believe me when I tell you, the best way to find a unicorn is to establish yourself with a reputable LuLaRoe consultant. I’m a consultant and still shop with my sponsor, trainers, and a couple of retailers I feel in love with when I was a shopper. Why should you shop with a trusted consultant? LuLaRoe culture encourages consultants to create relationships with their customers. When you build a relationship with consultants, they get to know you. Let them know what you are looking for, and you can bet they will let you know as soon as they get it. Most consultants nowadays have a Unicorn or ISO (in search of) albums located in their Facebook groups. Here, consultants will allow customers to add pictures of their unicorn or other in search of items. For me, and others I have learned from, the unicorn album gets you in line for the print and style you need and want. 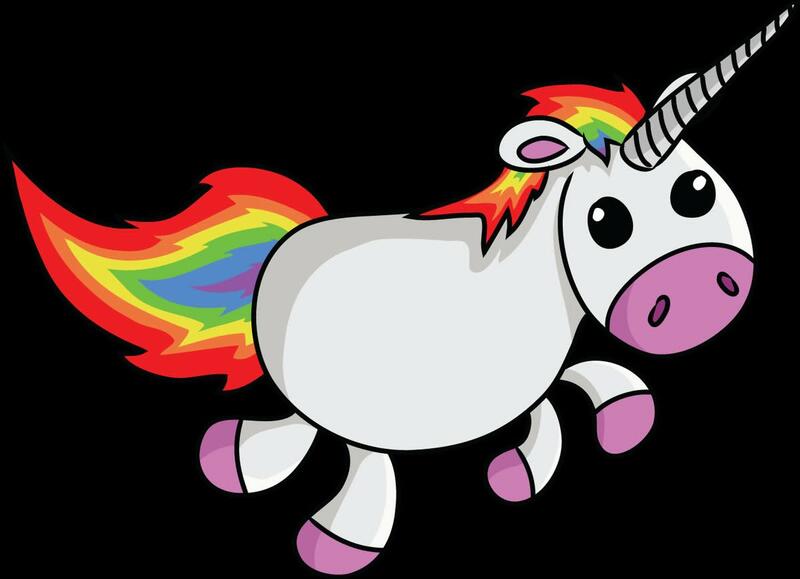 I’ve even gone as far as to track down a customer unicorn from another consultant or send the customer a consultant’s direction to help them get what they desperately want. Another great way to track down a unicorn is to team up with your LuLaRoe-loving friends and look out for each other. Many times, my sister, friend, and neighbors will all be watching the same LIVE sale. Or one of us will be checking out an album sale. If we know what friends are are looking for, we can give them a heads up or purchase the item for them. Here’s a trick I found when I desperately wanted the black and white leggings with Sasquatch on them. I joined 637 groups (at least it felt like it), shopped a million pop-ups, and even searched Ebay for the elusive Bigfoot leggings I had to have. Then it donned on me, why don’t I do a Google search. Then it happened, I found a picture of the leggings I so desperately wanted. Even better, when I clicked the photo, it brought up a link to a sneak peek. Later that day, I was able to claim the item I wanted and had the buttery goodness on my legs just a few days later. I have found the process is better for unicorns that are unique to you – and not unicorns that everyone is searching for. For example, if you want a black and white Irma, this method will probably work for you. If you want elephant leggings on the other hand, by the time Google caches a photo, the leggings will likely be long gone. There are groups where LuLaRoe consultants hang out and post about upcoming album sales, VIP pages, mystery roulette and so forth. On these pages, you can meet new consultants and find out about upcoming sales. However, to protect yourself from price gouging and some dramatic behavior, it’s best to stay away from Buy/Sell/Trade sites on Facebook that are dedicated solely to LuLaRoe. It’s important to know that I’m not encouraging customers or anyone else that loves LuLaRoe to join Buy/Sell/Trade sites. Before I was a consultant, I would check out the pages here and there to see what was popular for the moment. What I learned was there is a ton of drama on those pages. There is also something called “flippers” that stalk those pages and post unicorn prints for outrageous amounts of money. Many times, the flipper has claimed the item in a consultant’s sale and is flipping the item in a buy/sell/trade site before they’ve even paid for the item. The motive of these people is simply to make a profit. Since consultants are encouraged not to engage on the Buy/Sell/Trade sites, potential customers are left with flippers, professional shoppers, and professional hostesses. 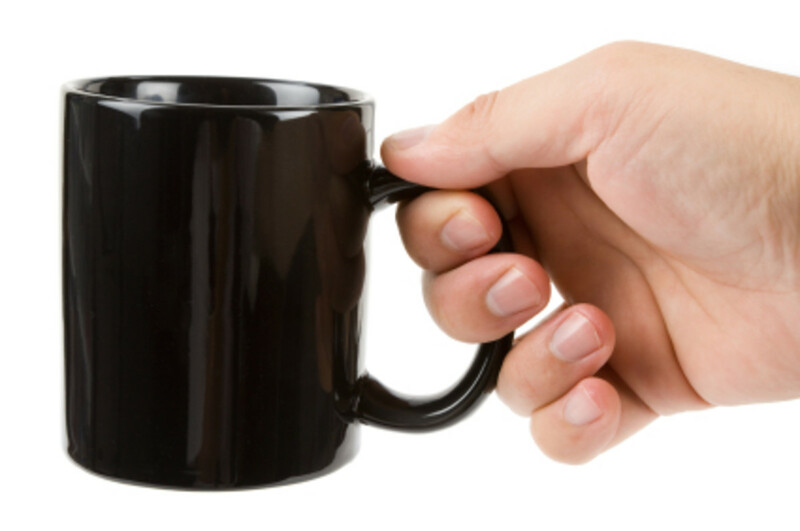 Many times, customers are under the impression that the items being offered are provided by consultants. But they aren’t, which means the customer has no recourse if something goes wrong with the transaction or something is wrong with the item. 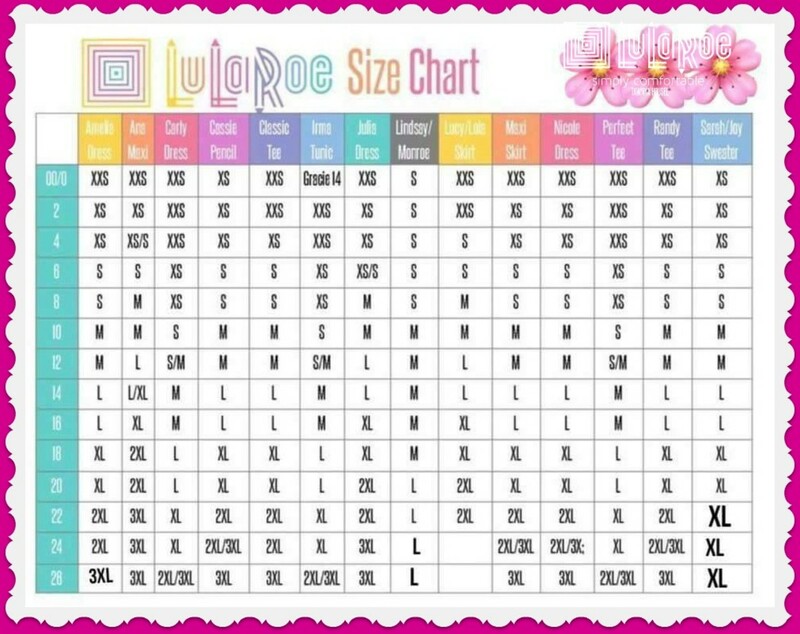 There is a ton of LuLaRoe on Ebay. Most of the items are unicorns. Chances are if you can’t’ find what you want from a consultant and you do find it on Ebay, you’re going to overpay. Flippers purchase the items from consultants and mark them way up on both Ebay and Mercari. It’s unfortunate, but it happens. By buying these items, you are paying way more, sometimes substantially more, than you would from a consultant. Purchases from these sites also come with their problems. Problems you could avoid completely if you bought from a consultant. Are You on the Hunt for Your LuLaRoe Unicorn? 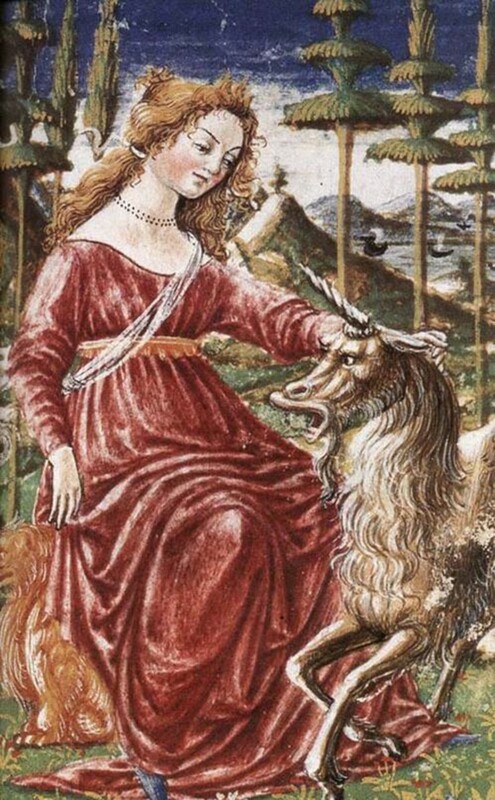 So to recap, unicorns exist. Well, at least they do when you shop with LuLaRoe. In fact, there are prints out there with actual unicorns. Find an independent LuLaRoe retailer that you like and ask them to help you find your unicorn.